You have been arrested for DUI in Kansas and believe you are doomed to have a DUI on your record forever and suffer all of the consequences that accompany that mistake. However, if this is your first offense, you could qualify for a diversion program that is a win for the state of Kansas and a win for you and your future. If you fulfill all of the requirements, the Prosecutor will dismiss the case and there will be no DUI conviction on your record. However, the DUI will still be on your driving record. If you are later arrested and charged with another DUI, the diversion will count as a prior conviction, and the latest DUI will be treated as a second offense. Are all first-time DUI offenders eligible? 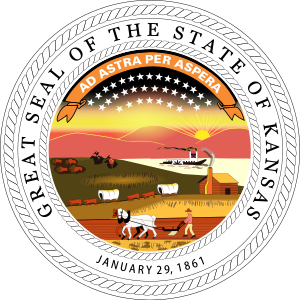 What happens if I do not complete the Kansas DUI diversion program? If you fail to complete all terms of the diversion program, the criminal case against you will be reinstated. Additionally, at your trial, you will not be able to cross-examine witnesses or present any evidence that is meaningful in your defense. Diversion programs have proved to be successful in other states. They have reduced the DUI recidivism rate and even helped to cut down on DUI related stops and accidents. In many cases, diversion in Kansas is the best option if it is available. However, you should always consult with an experienced DUI attorney who can look at your specific situation and help determine the best course of action for you and your future. If, after studying your case, your attorney believes that diversion is the best option, he can lead you through the process and negotiate the terms that are best for you.